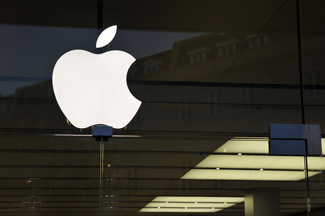 A Houston lawyer filed a lawsuit against Apple Inc. on Monday alleging that a FaceTime bug allowed the recording of a private deposition. The suit, filed in Harris County, Texas, also says the product was unreasonably dangerous. Courthouse News Service, Bloomberg and USA Today have coverage. Apple disabled group FaceTime and promised a fix on Monday after media reports revealed the bug in Apple iPhones running versions of iOS 12.1. People who wanted to surreptitiously record audio of another person could call on FaceTime, swipe up to add a person, and then type in their own phone number, USA Today explained. After that, FaceTime automatically answered for the person called and audio recording began. If the person called pressed the power button from the lock screen, video began recording. A 14-year-old Arizona teen had discovered the bug Jan. 19, but Apple didn’t immediately respond to a warning sent the next day to Apple support by the teen’s mother, lawyer Michele Thompson, the New York Times reported. When she didn’t hear back, Thompson also emailed and faxed Apple’s security team and posted on Facebook and Twitter. On Jan. 25, Apple’s product security team encouraged Thompson to create a developer account to send a formal bug report. Williams’ suit seeks damages for negligence, design defect, failure to warn, breach of express and implied warranties, fraudulent and negligent misrepresentation, fraudulent concealment and unjust enrichment. Williams is represented by Houston lawyer James Mattox III in the lawsuit.